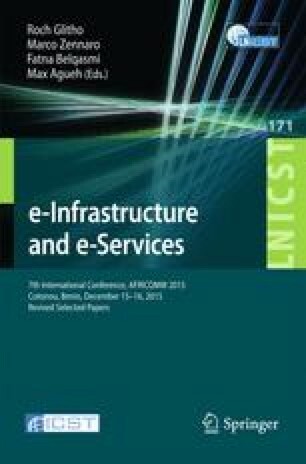 This study measures growth of Internet connectivity in Africa from 2010 to 2014 with a focus on inter-country relationships. An initial analysis reveals a modest increase in the number of participating countries but an explosive increase in the number of routers and network links. We then form the first country level topology maps of the African Internet and evaluate the robustness of the network. We study raw connectivity, pairwise shortest paths, and betweeness centrality, suggesting how improvements can be made to the inter-country African connectivity to enhance its robustness without reliance on paths traversing multiple continents. This research was sponsored by the National Institute of Standards and Technology (NIST) and partially accomplished under NIST Cooperative Agreement No. 70NANB13H012 with the University of Maryland. The views and conclusions contained in this document should not be interpreted as representing the official policies, either expressed or implied of NIST or the U.S. Government. The U.S. Government is authorized to reproduce and distribute reprints for Government purposes, notwithstanding any copyright notation hereon.